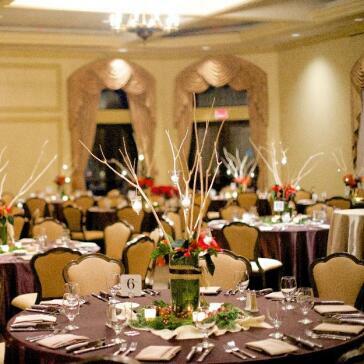 We look forward to hosting your banquet, meeting or event at 1757 Golf Club, Loudoun County's premier meetings venue. Professional Set Up. Professional Service. 1757's elaborate, 16,000-square-foot clubhouse celebrates the Commonwealth’s rich history with event rooms named after U.S. Presidents Washington, Jefferson, Madison, Monroe, and Wilson – all native Virginians. 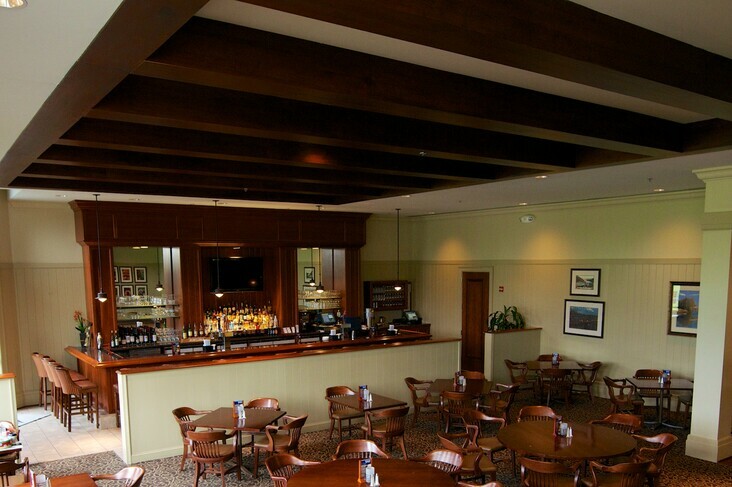 The Clubhouse is an ideal venue for both business and social functions. Our premier facilities include a stunning ballroom, an elegant dining room and bar, technology-forward meeting rooms, outdoor patios, full-service Golf Shop, and locker rooms. An executive level meeting room with leather chair seating for 13 guests. LCD projector and white board available. Bathed in natural sunlight, the Monroe Room offers 1,680 square feet of flexible meeting or dining space. This elegantly appointed room is perfect for smaller gatherings, cocktail socials or for meetings. With beautiful views of the outdoor terrace and driving range, the Washington Ballroom features from 2,000 to 3,770 square feet of flexible meeting or dining space. 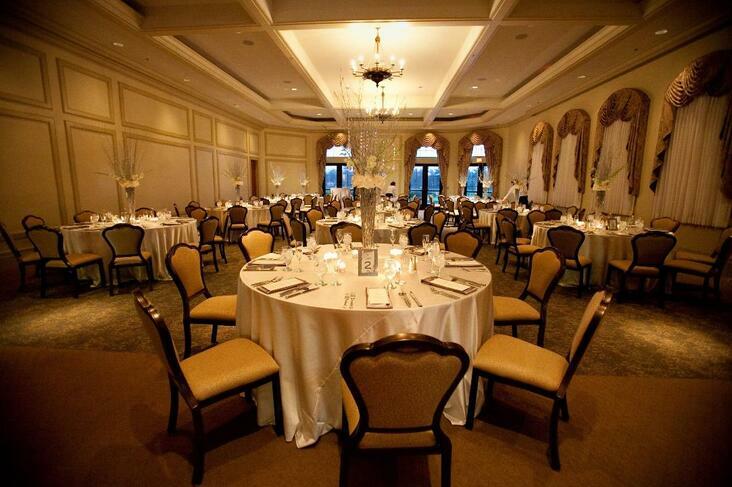 The elegantly appointed room is great for larger receptions, meetings and banquets. A stylish space with 50 seats for casual dining, the Jefferson Restaurant and Bar provides a warm atmosphere for delicious food and drink, fun times and great service. Two large patios overlooking the Putting Green and the Driving Range provide the ideal atmosphere for outdoor receptions. 10 bays indoors, outdoors, and even on a second story featuring 6 games, unlimited range balls, and our restaurant’s full offerings available from servers. 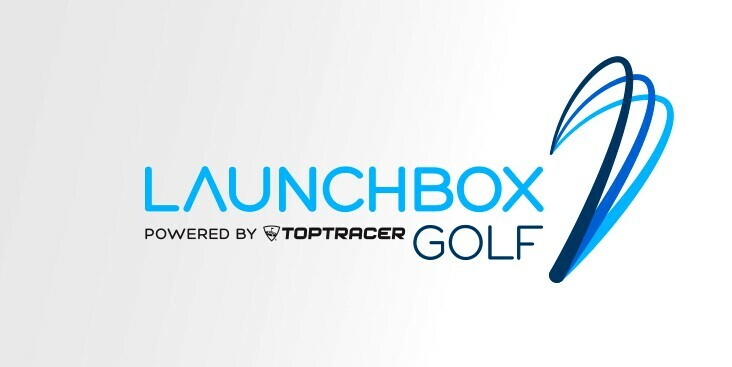 We’ve partnered with Topgolf to launch our driving range to the next level with their ball flight tracking technology as seen on TV tournaments! Our 10 new bays are indoors, outdoors, and even on a second story. They all feature 6 games to play, unlimited range balls, and our restaurant’s full food and drink menus are available from servers. Want to make a big splash? The entire building is available! Set amidst the beautiful backdrop of a stunning golf course, 1757 Golf Club offers you and your guests an extraordinary setting for your special event - whether a wedding reception, ceremony, holiday party, banquet, corporate seminar, golf event, or other special occasion. Designed with guests’ expectations for both comfort and refinement in mind, the clubhouse offers expansive amenities without losing a sense of intimacy that defines it. 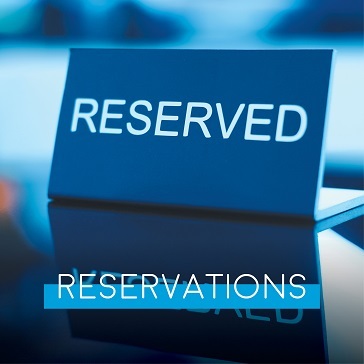 Once you submit a request for information, a member of our professional staff will contact you to provide a personalized event proposal, and to answer any questions that you may have. Meetings ‣ Whether you need a quite space for 4 executives or a conference room for 200 guests, we have the private room for you. A projector and screen come included with each room. Holiday Parties ‣ Located just minutes from the Washington Dulles Airport, 1757 is the perfect location to celebrate the holidays! Designed with your guests’ expectations for comfort and refinement in mind, 1757 offers an extraordinary backdrop for your holiday party. From cocktail receptions to casino parties to an upscale dinner, we are here to provide an unparalleled experience for your guests. 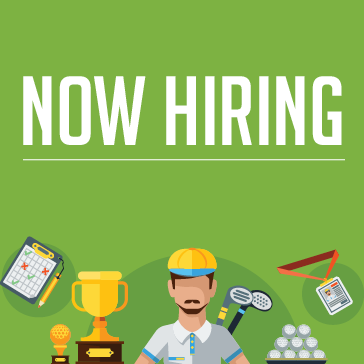 A golf experience for all skill levels. 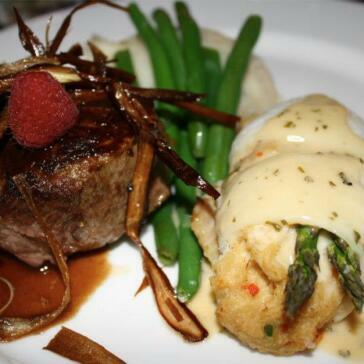 Enjoy mouth-watering appetizers, delicious drinks, and fun on the range! Learn from the best! 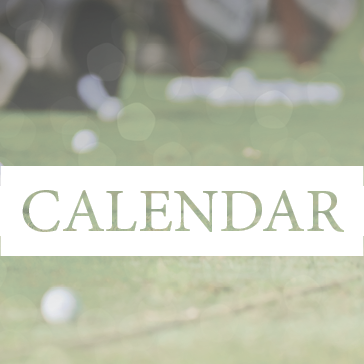 Add an hour of instruction from one of our world-class Golf Pros! Play 9 holes on our premier golf course and enjoy food & drinks on the patio after the round! 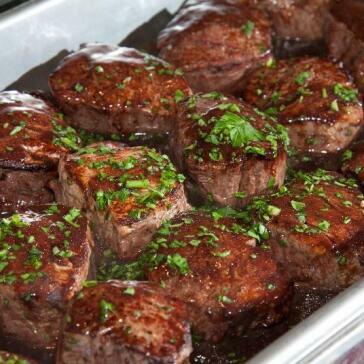 Impress your guests with our Executive Chef’s culinary creations and superior service. From intimate gatherings of 10 guests to a 200-guest gala, 1757 offers versatile accommodations to fit your needs. 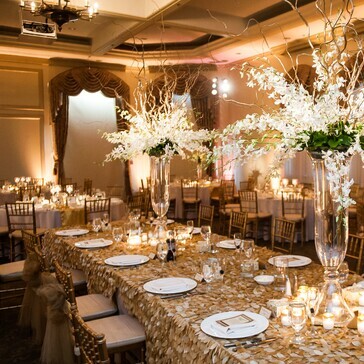 Our experienced team is on hand to plan every detail of your event! Food and beverage packages start at $22 per guest. 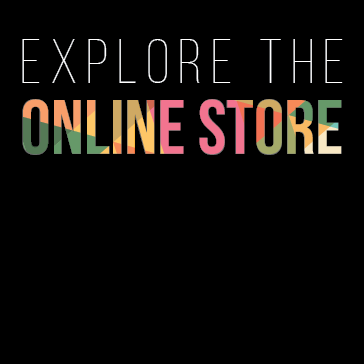 Fill out the form below to start planning with us! Kelsey Baron, our Director of Sales, looks forward to sharing more with you about hosting your banquet, meeting or event at 1757 Golf Club, Loudoun County's premier meetings venue. Please complete this form to request information. Thank you! Thank you for contacting the 1757 Golf Club.